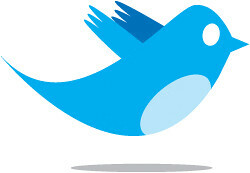 LOOK and see the cool, new features over at twitter! 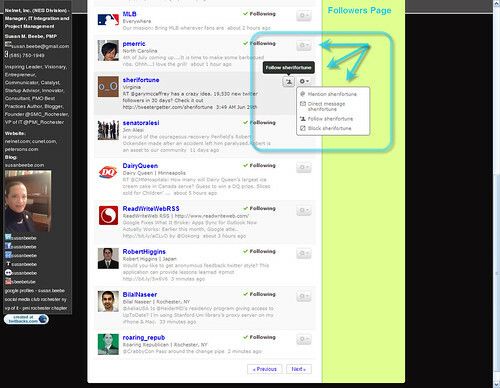 Take a look at the "Followers" and 'Follows" pages of twitter user profiles... see the changes?! Twitter Blog: Following and Followers Page Improvements. When you click on the Following and Followers links from your Twitter home page, you'll notice that we've upgraded the design of these pages and added features. Instead of a basic list, there are now actions you can perform that provide a better overall experience. For example, you can turn on SMS, unfollow, mention, block, direct message, and more. Tip: You can also view the accounts that someone else is following and follow them yourself. UPDATE: Mashable.com (@AdamOstrow) also just blogged about this topic here. ← Gizmodo: iPhone OS 3.1 Features: Better Video Editing, Voice Control Over Bluetooth, And More! !